Finding bread without milk in it is tricky. Not to mention yoga mat. 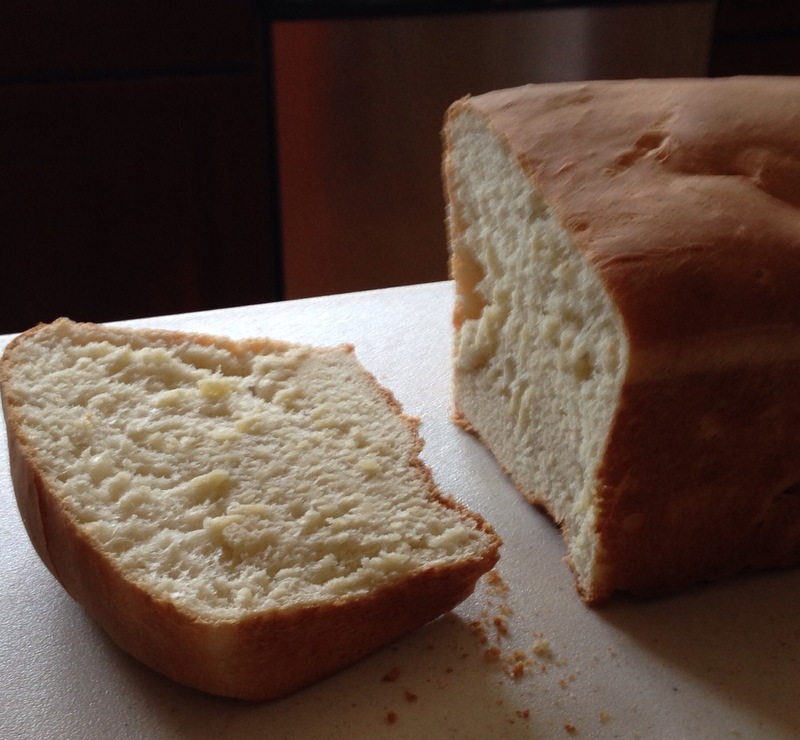 I’ve been trying different bread recipes and found the most amazing, delicious bread that doesn’t get stale quickly as homemade bread often does. I found the original recipe at fivehearthome. In the bowl of a stand mixer fitted with a dough hook, mix together all ingredients except the last 2 cups of flour. Mix well scraping down the sides if necessary. Add remaining flour about 1/2 cup at a time. Knead dough in mixer using dough hook for 10 to 15 minutes or until dough pulls away from the side of the bowl and feels smooth rather than sticky. If the dough is sticky add a bit more flour. Remove dough from mixer and place in bowl. Cover with a towel and let sit for 45 minutes to an hour. Grease a nonstick bread pan with canola oil. Don’t leave puddles of oil in the pan just make it slick all over. The dough will have almost doubled in size after sitting. Gently insert two fingers into the dough, up to the second knuckle and remove. If the indentations remain in the dough it’s ready for the next step. Gently push your fist into the center of the dough and then pull the edges down into the center. Remove dough from bowl. Gently form the dough into the shape of a loaf and place in pan. Push down gently to fit pan. Cover with a towel and let sit for an additional hour or until dough is domed above the top of the pan. Place in oven for 30 minutes. Once baked, immediately remove hot bread from pan and cool on rack. As tempting as it will be to cut into the bread while it’s hot don’t do it! Let it cool completely before slicing or you can ruin the whole loaf. It can become gummy in spots if you do this. *Her double recipe called for 1/3 a cup. My measuring cup doesn’t even have 1/6 measurement on it so I just filled it slightly below the 1/4 cup mark.